On the high plains of western Dakota, autumn has arrived. Down in the valleys and creek bottoms, the cottonwood and aspens have turned a brilliant gold. Up here on top, the distinctive blue green of wild sage and bright red of dwarf rosebud offer colorful contrast to the tawny brown of sun scorched prairie. It’s early afternoon. And although the predawn landscape was whitened by frost, temperatures have already soared to near 80 degrees. But it’s not like the 80-degree heat of Iowa. Here, low humidity and steady breezes have combined to make the temperature surprisingly tolerable. After hiking more than a mile onto the plain, I’ve yet to break sweat. Back home, I’d be drenched. I’m searching for two things – prairie rattlesnakes and pronghorn antelope. Although I’ve just walked through the middle of a prairie dog town, I have yet to spot a single snake. Now that the sun is high, I probably won’t. Most rattlers will stay underground until it starts to cool off again. On a more positive note; I’m having much better success with pronghorns. They are everywhere. Four-legged inhabitants of lonely windswept grasslands, pronghorns are utterly fascinating. If I ever had to rank the species, it would be near the top on my list of prairie favorites. 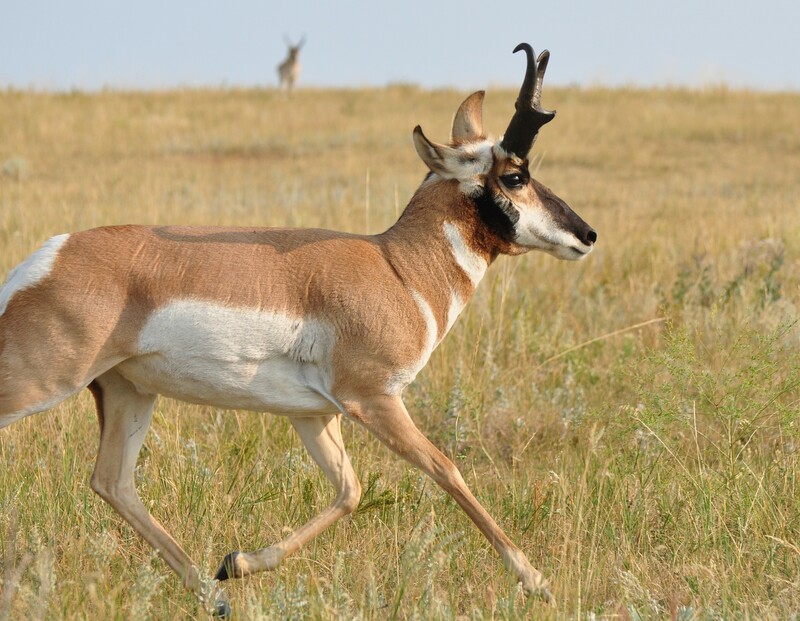 Most Easterners — myself included — still call pronghorns antelope, which they are not. Local ranchers refer to them as Speed Goats which although still incorrect, is a whole lot closer to the animal’s true identity. 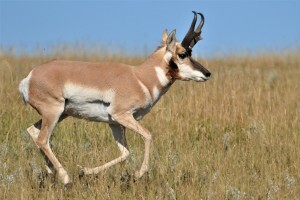 In addition to their graceful form and unique beauty, these spindly legged prairie dwellers are also famous for a couple of other things – namely their unsurpassed vision and remarkable speed. 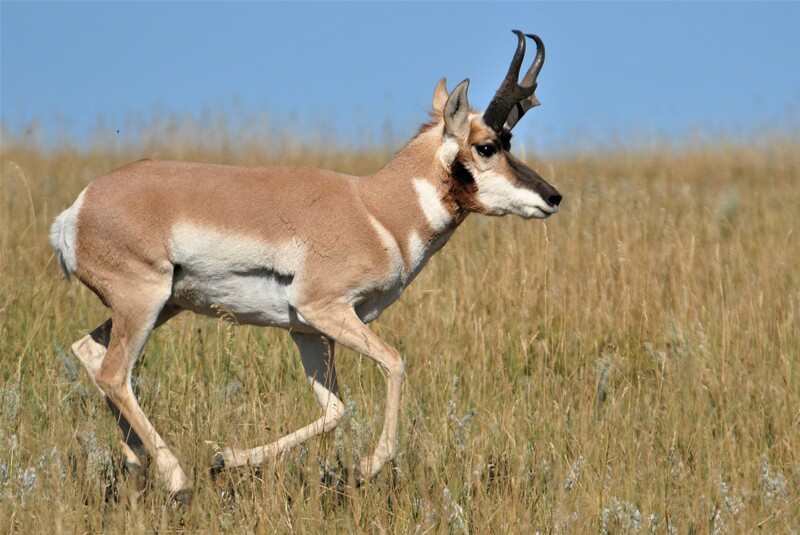 In spite of shimmering prairie heat waves, pronghorns can spot danger – or other pronghorns – for miles. When it comes to speed, they are virtually unmatched. Only the cheetah is considered to be faster, and even that title is currently under dispute among animal ecology experts. But regardless of which species is faster, one fact is certain. Cheetahs are short range sprinters. Upon executing their signature 60 mph, short range speed bursts, they quickly tire and then quit. 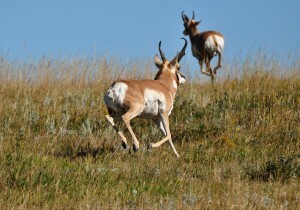 Pronghorns, on the other hand, are not only fast out of the gate but can go the distance as well. Once they attain a full head of steam, the animals are capable of running full throttle until they disappear over the far horizon. 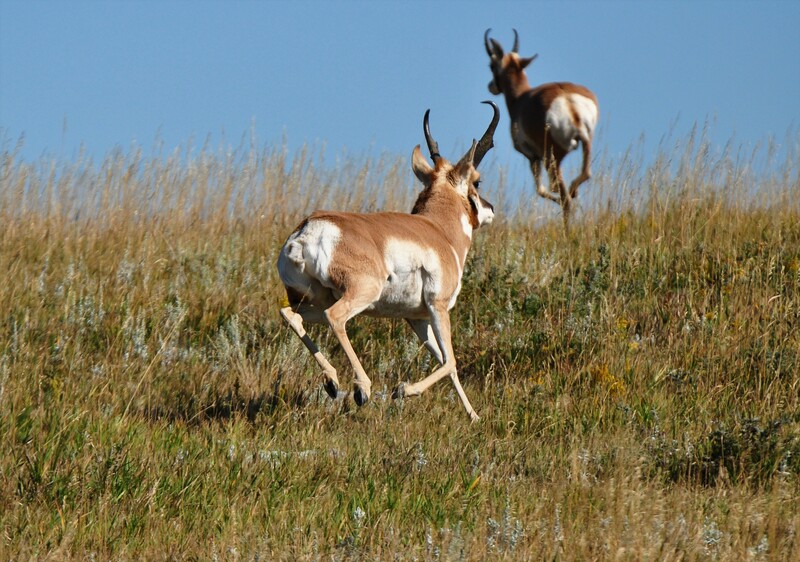 September is the prime time to witness the pronghorn’s legendary speed firsthand. 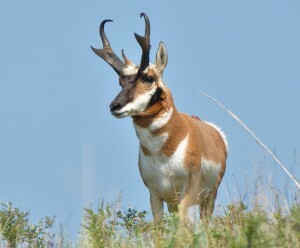 It’s the peak of the pronghorn breeding season. 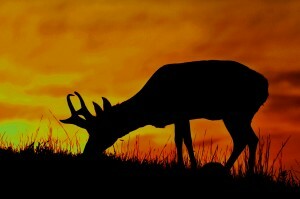 Males are on the move and tall horned, mature bucks are currently displaying their amazing ability to cover ground. During the past five days, I’ve enjoyed several incredible, close encounters with these magnificent speedsters. 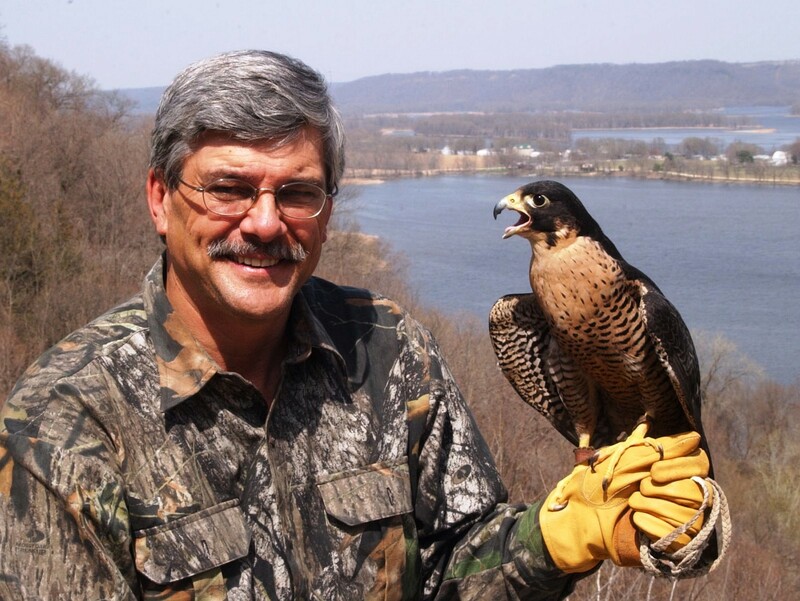 The latest occurred less than an hour ago when I spotted a mature male lying atop a shallow ridge. Slowly ascending the ridge, I charted a course that took me past, but not too close to, the bedded pronghorn. Monitoring his behavior from the corner of my eye, I carefully angled back and forth, pretending only to be interested in ant hills, rosebuds and prickly pear cactus. Accepting the ruse, the buck remained alert but unalarmed. Before long I was close enough to begin photographing the handsome animal. As I continued to move ever closer, the shots got better and better until the lounging buck nearly filled the frame. Following several minutes of filming, the tone changed abruptly when the relaxed buck suddenly went on high alert. 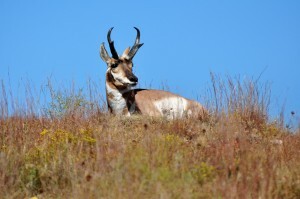 With head held high and ears pricked forward, the pronghorn seemed fixated on the ridgetop horizon. Following his intense stare, I quickly discovered the object of his alarm. Appearing against the prairie skyline, a second buck, much older and heavier than the one I had been working, was making a deliberate, stiff legged approach. Viewing the newcomer through my telephoto, the first thing I noticed was his horns – long symmetrical daggers of polished ebony, boldly accented by an impressive pair of prongs [cutters] halfway up the beams. The next thing I noticed was his ears – laid straight back and pasted flat against the bristling hairs of his thick neck. For anyone who’s spent much time around horses, the message was universal; the posturing body language and flattened ears said it all. 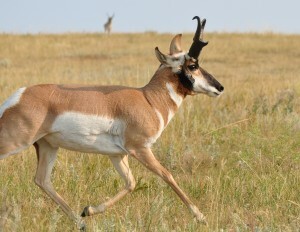 The approaching antelope intended bodily harm to the cooperative, mild mannered pronghorn I’d been photographing. It quickly became apparent that my alert prairie companion understood the body language better than I. It was also obvious that the younger, smaller horned buck wanted no part of a confrontation with the older male. Leaping to his feet, the subdominant pronghorn decided to turn and burn, heading for the distant hills as fast as his legs would carry him. By now, the older buck had already approached to within 50 yards or so; and the sight of the smaller buck beating a hasty retreat triggered an immediate assault. Achieving a beeline radar lock on his fleeing adversary, the charging buck completely ignored my presence, passing so close that I could clearly see the glint in his eye and hear the strike of his pointed hooves against the prairie. I’ll never know what became of that younger male. He went over the top and, for all I know, he may still be running. 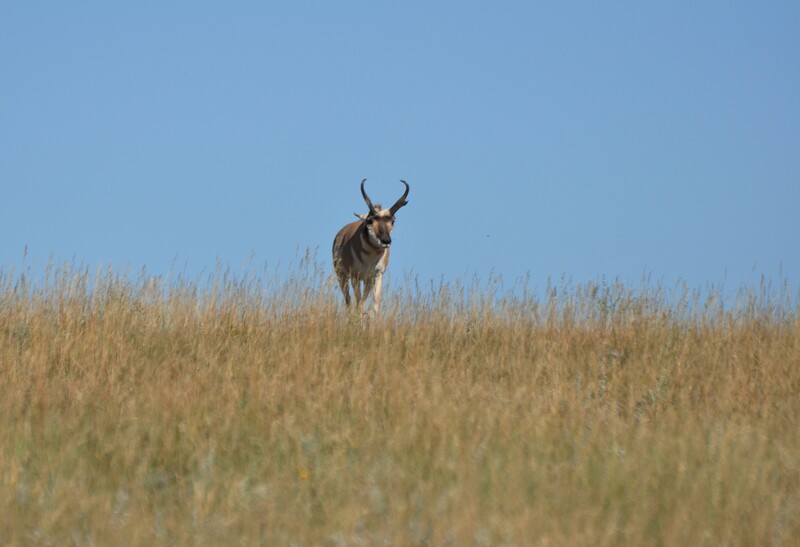 What I do know is that upon reaching the crest of the next ridgeline, the older pronghorn halted to briefly pose against the skyline. Only then did he look back to briefly acknowledge my existence. 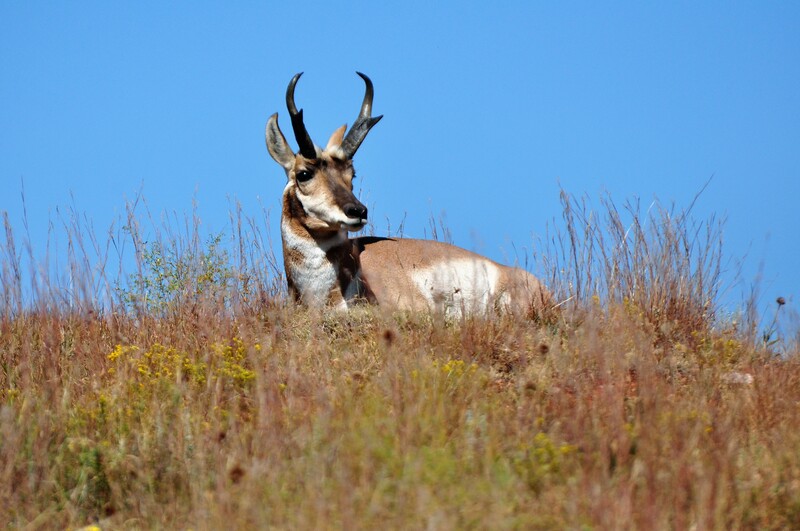 Turning his gaze back to the prairie, the magnificent buck trotted over the ridge and out of sight. Although my electrically charged, prairie encounter had been highly dramatic, it had also been as short lived as it was exciting. I suddenly realized that I was now sitting all by myself in the middle of nowhere. Evaluating my surroundings, the vast expanse of treeless grassland seemed eerily vacant.